You might know “Content is King” in blogging. According to my knowledge it is true. Blog traffic is the life of blog. And with quality and useful content you can attract long term free targeted traffic to your blog. Lets discuss the 3 reason how content is useful in increasing blog traffic. All of us know that search engines love quality contents. The more quality content you have in your blog, there is more chance to rank high in search engine. If you rank high then you can get more targeted and organic traffic from the search engine. So try to write quality content and attract the search engine traffic. If your content is extremely useful, interesting or informative then surely people will share others about your content. So try to write good content and see how your content get spread around the Internet world. You will start to see your traffic meter increasing. Yes, if you have good content then there is high chance of having incoming links pointing to your blog form other blogs. 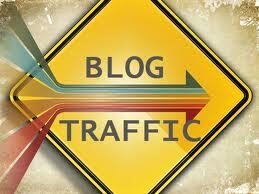 From this your will get direct traffic from your blog where your blog link is placed. Also incoming links helps to increase your search engine ranking. As I already discussed in above point, if you have high rank in search engine then you will have a chance to get more targeted and organic traffic. My last word for your, try to write quality content. Write something that is useful for others. Nice post buddy. I could not refrain from commenting. This article is of great value for newbie bloggers and the future bloggers who are thinking about creating their own blog.